In this work, we grew brownmillerite SrCoO2.5 (BM-SCO) epitaxial thin films on (001) SrTiO3 substrates by pulsed laser deposition and performed post-annealing at various temperatures in oxygen atmosphere for topotactic conversion into the perovskite phase (P-SCO). The results show that the magnetic properties and microstructure of the films have a great change near the critical temperature (250˚C). When a BM-SCO film was annealed in lower temperature (250˚C ≤ T < 600˚C), a mixed-phase of BM-SCO and P-SCO (Mix-SCO) was observed, and oxygen intercalation drove the antiferromagnetic phase to ferromagnetic phase (Tc~180 K). We also found that in post-annealing under 600˚C a complete phase transition from the brownmillerite SrCoO2.5 to the perovskite SrCoO3–δ was exhibited. XPS fitting results clearly indicate a change in the Co valence state from 3+ toward 4+. So some oxygen vacancies in the films are filled. Therefore, we conclude that the oxygen concentration (3–δ) in perovskite SrCoO3–δ by post-annealing is about 2.75. 张利文, 张胤, 刘铃声, 王 强, 张国芳. 钙钛矿氧化物 Eu1-xSrx CoO3-δ的结构和性能.稀土, 2010, 31(4): 7-11. 顾经伟, 史志界. 后退火对外延 Eu0.5Ba0.5TiO3薄膜表面形貌的影响. 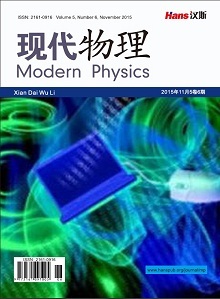 应用物理, 2015, 5(12): 165-171.